One of the best things about doing this blog is that we’ve discovered so many different places to visit over the last couple of years. Sometimes though, it’s fun to return to some of our favourites. As my children get older they’ll be able to appreciate them in different ways as their interests change. 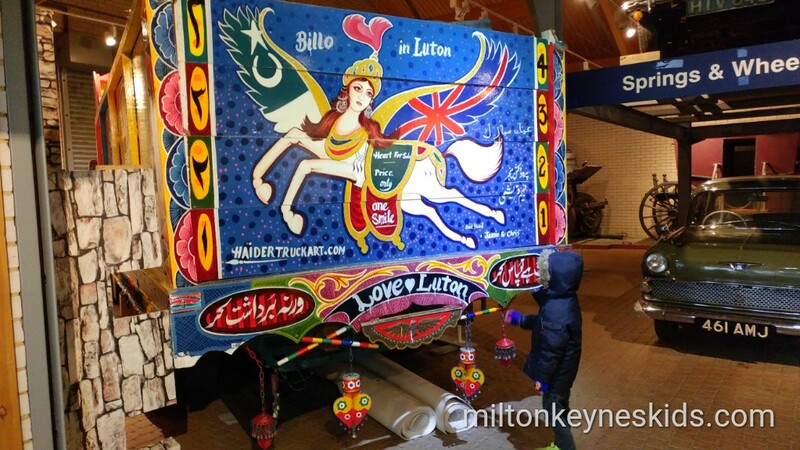 In January 2018 we returned to Stockwood Discovery Centre in Luton. What’s great is that it is completely free. You don’t pay to go in, or for parking. Watch our video below to get an idea of what it’s like and then scroll for more information. 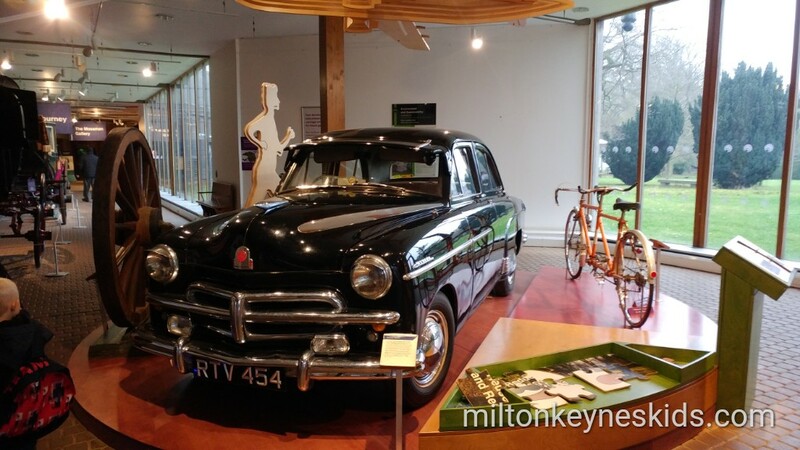 What is Stockwood Discovery Centre, where is it and when is it open? 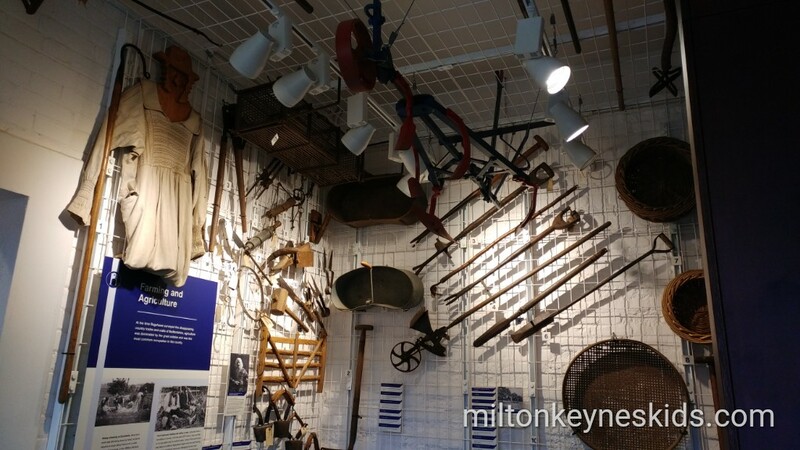 Stockwood Discovery Centre is one of two free museums situated in Luton and there’s something for everyone whatever your age. It has beautiful gardens, galleries full of stuff to look at, a play area and a climb-on tractor. The address is Stockwood Park Golf Club, London Rd, Luton LU1 4LX. When we visited in January 2018 they were open daily between 10am and 5pm 14th Feb – 31st October and 10am – 4pm 1st November to 13th February. Like anywhere I feature, do check the opening days and times before travelling. It’s about 30 minute drive from where we live in Milton Keynes. 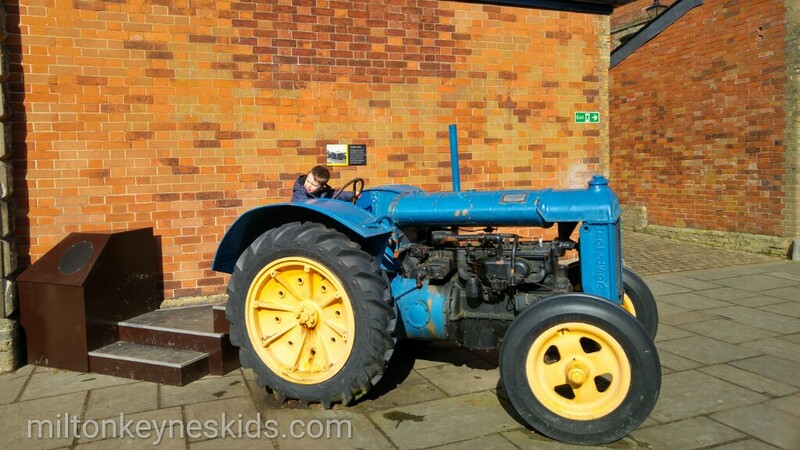 What did my children most like about Stockwood Discovery Centre? At the time of this visit, my sons were 4 and 2, so they most enjoy running, exploring and climbing on things. 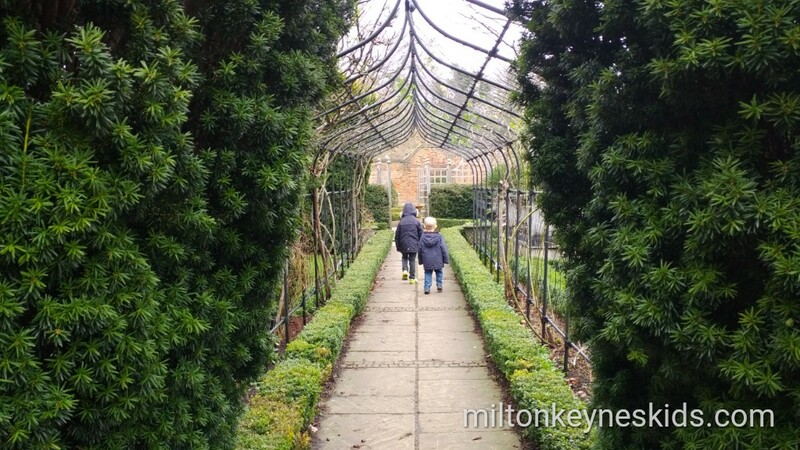 They loved running around the gardens which are still pretty even in the winter when we visited. They also had fun playing in the play area which has a small slide, little house and a few other pieces of wooden equipment. There is a bigger wooden spiderweb type climbing frame too but the boys were too small for that. There’s also a static blue tractor which they really enjoyed pretending to drive. 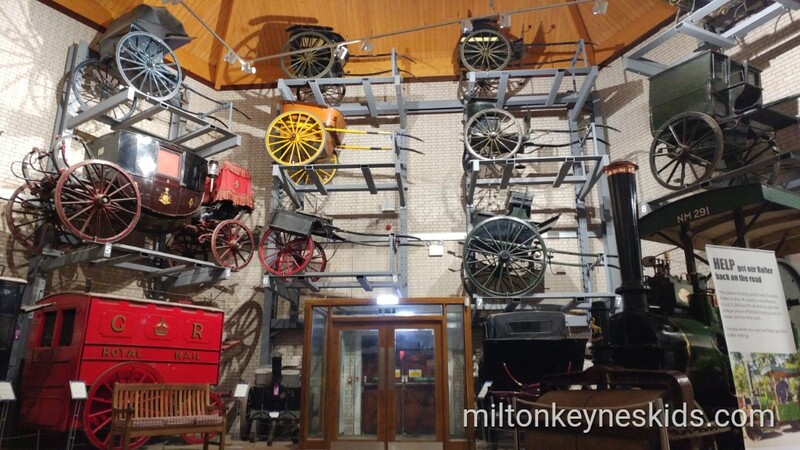 In terms of what else there is, there’s loads to see both in a larger gallery which houses lots of different kinds of transport, as well as smaller rooms which have all sorts of historical things. Again the children mostly enjoyed the wagons they could climb in. The smaller rooms were an interesting experience. 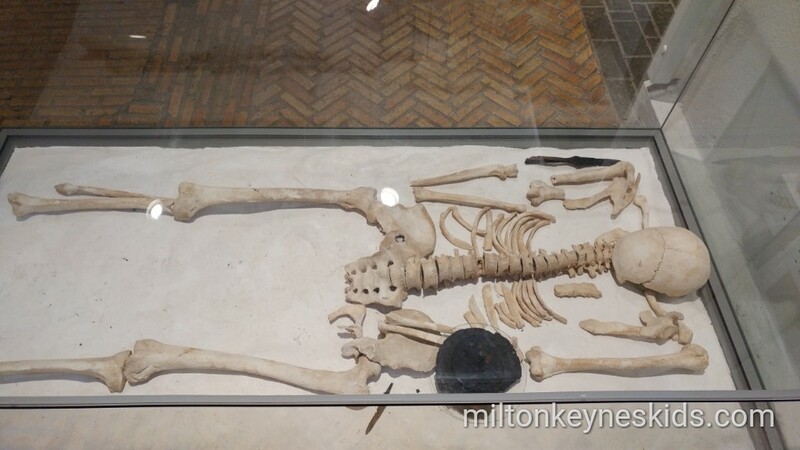 On one hand my eldest son (aged 4) liked discovering skeletons – he’s very into bones at the moment, but on the other my youngest found the atmospheric noises a bit scary and wanted to leave. If children are a bit older then there’s plenty of information to absorb about the history of Luton. What could be improved about Stockwood Discovery Centre? If I’m honest it can be hard to criticise somewhere if it’s completely free and you don’t have to pay for parking as essentially you’re getting trip out for nothing. However I do think more could be made of what’s there. I think what it probably would benefit from is some kind of extra information about the displays. It’s really easy to wander in and out of the rooms within a few minutes. I think perhaps we would have stayed longer in each place had there either been some kind of audio tour that we could have listened to – or even something with tablets (like a Bletchley Park) that gives an insight into the displays we were looking at. I think some of the exhibits could be fascinating if indeed you had some context as to why they are there. 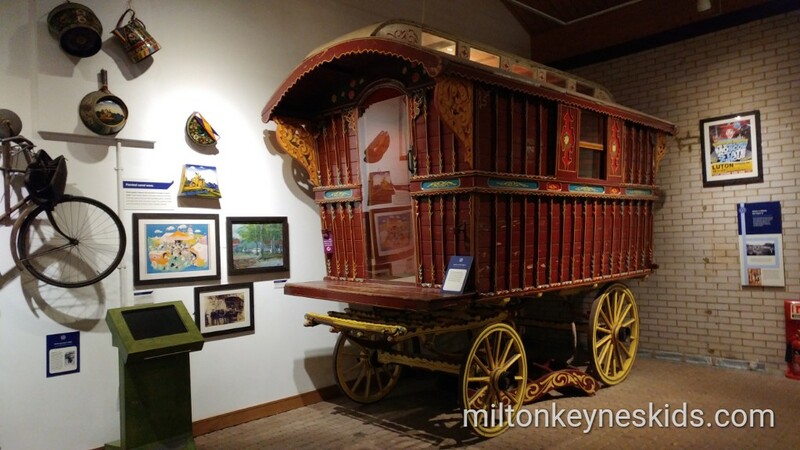 Milton Keynes Museum for example has some brilliant volunteers who have lots of information to share. Also If they were to want to appeal to younger children then they’d probably need to have a few more hands-on displays or vehicles the children could pretend to drive – but I appreciate it’s a difficult balance to strike when some things may be fragile and need to be preserved versus kids want to touch and climb on everything. 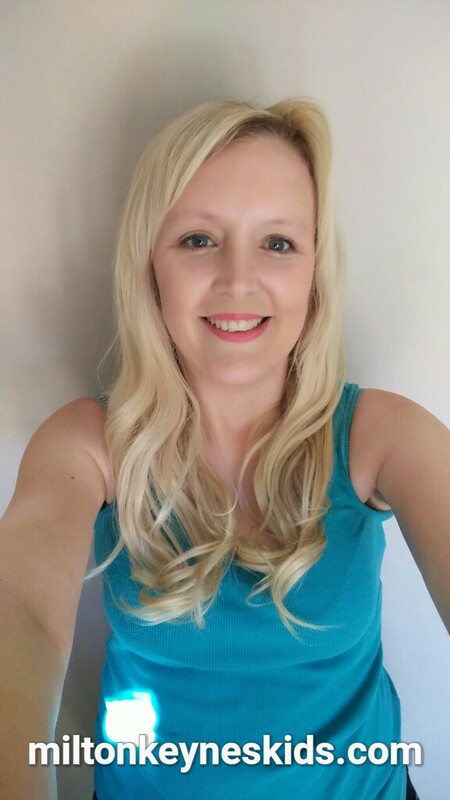 Is it worth going to Stockwood and what else can we do in the local area? I’d say it is. Just bear in mind that children will probably more appreciate it if they can read through information that accompanies the displays or you talk it through with them. Or if they’re a similar age to mine are right now then they’ll most enjoy what they can play on – they’ll get the most out if it if it’s not raining. There’s also a good sized cafe there – which we haven’t been in as we take a picnic everywhere – but other people have said it’s very good. It’s also very accessible, should you be using a wheelchair or buggy. If you’re looking for somewhere else to go then there’s another museum in Luton called Wardown Park Museum. We have been although I haven’t blogged about it. 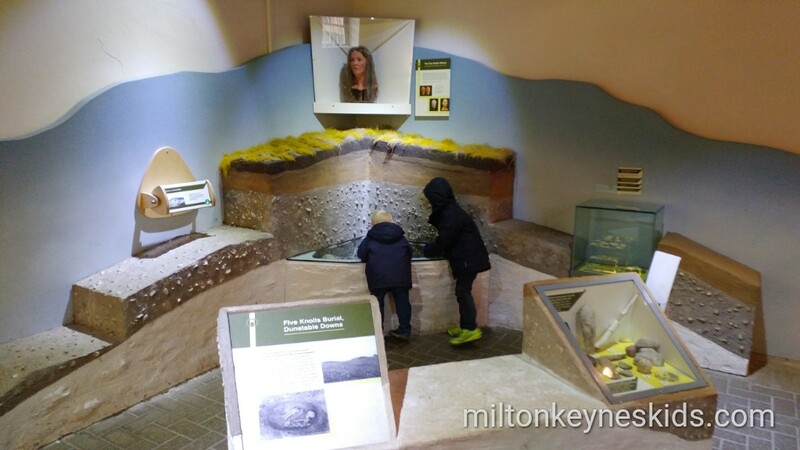 It underwent a huge revamp in 2017 and has lots of interesting exhibits – although much of it is behind glass so when I took my boys they weren’t too fussed – other people with slightly older children have said they enjoyed it. 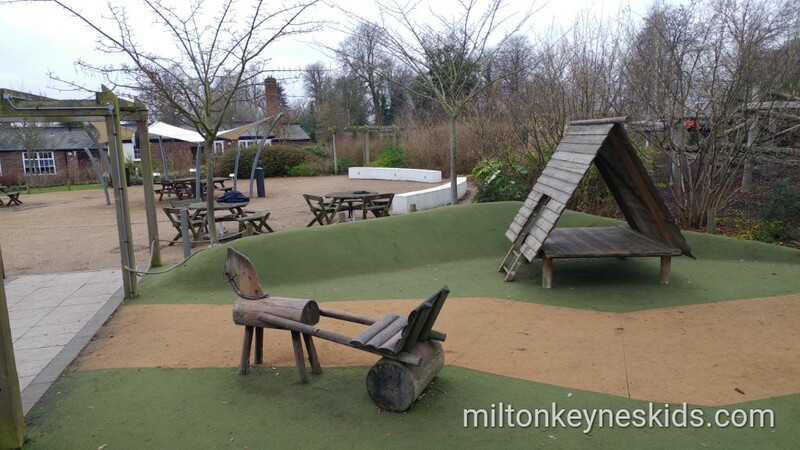 There is a rather retro play area in the park which has a metal train – now that my children enjoyed. Also Woodside Animal Farm isn’t far which you may also enjoy.